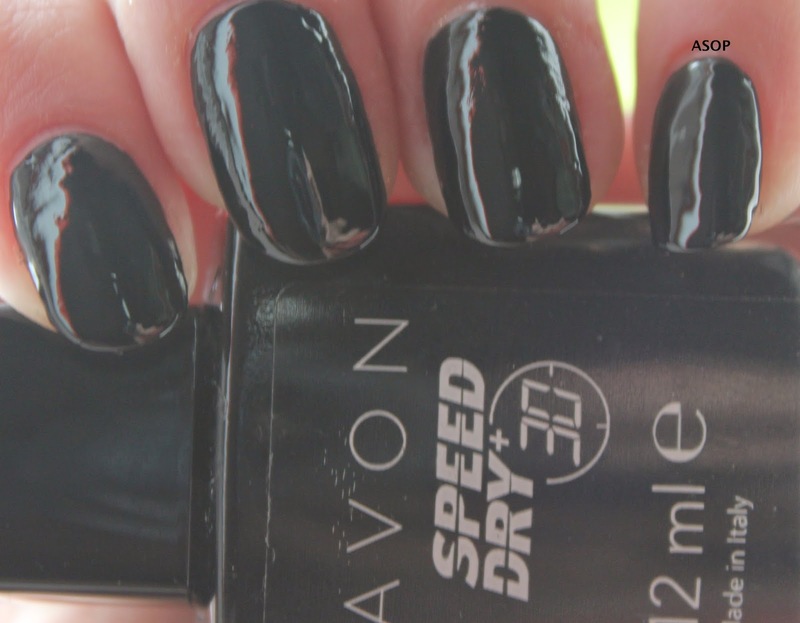 I started with two coats of my trustee Avon 'Rapid Black', which as usual, applied nicely and dried speedily! 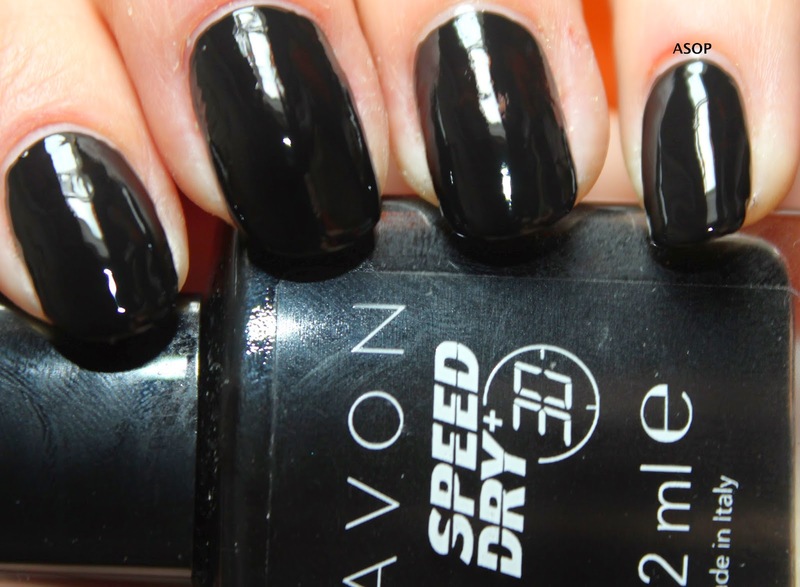 It still remains my favourite black polish. 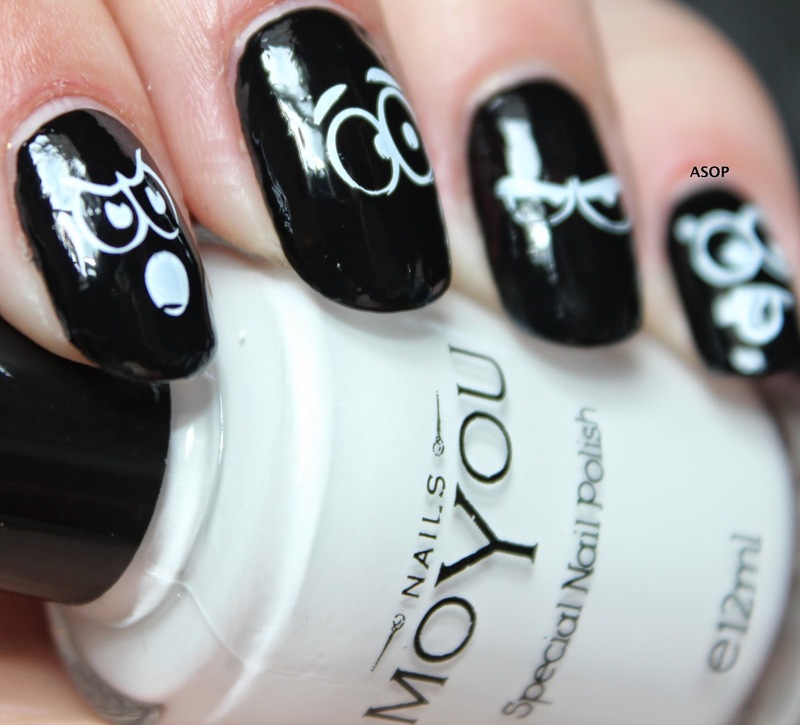 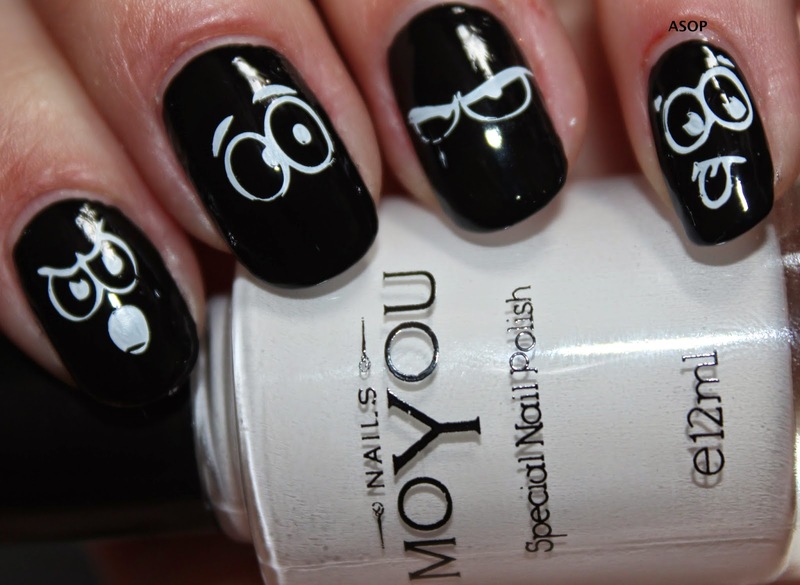 I then stamped the owls eyes from image plate 101 with MoYou Nails special white polish! 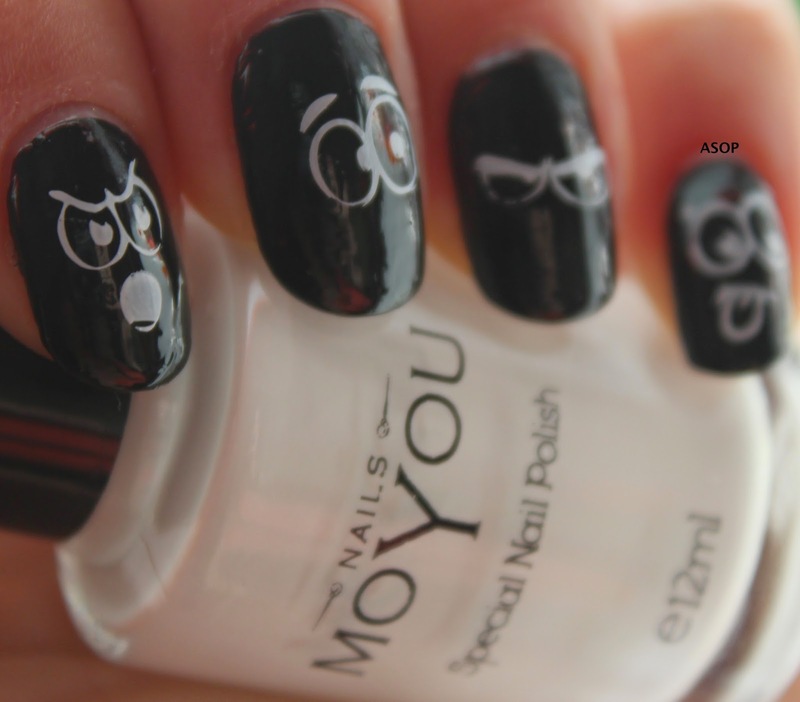 The index finger really reminds me of angry birds! 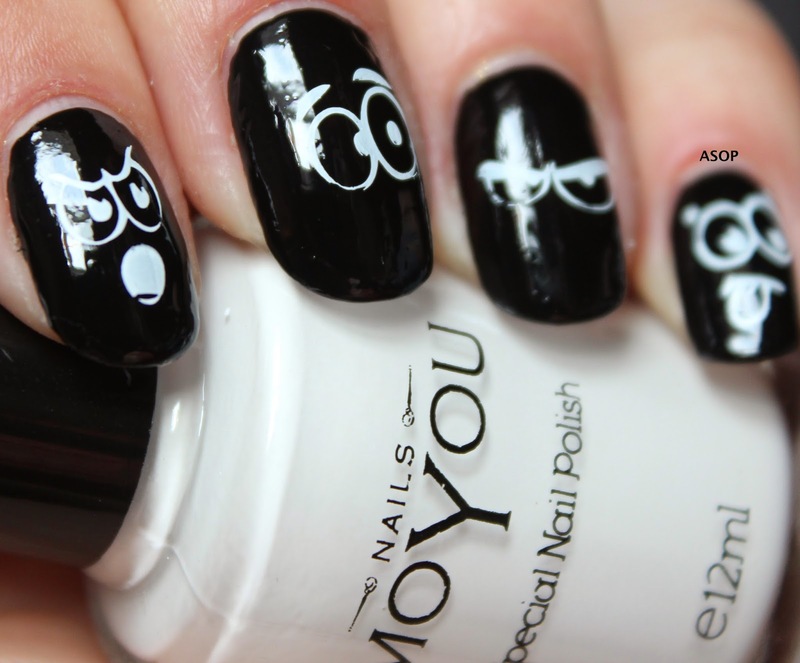 :p and the two middle ones are definitely going to be redone for halloween! 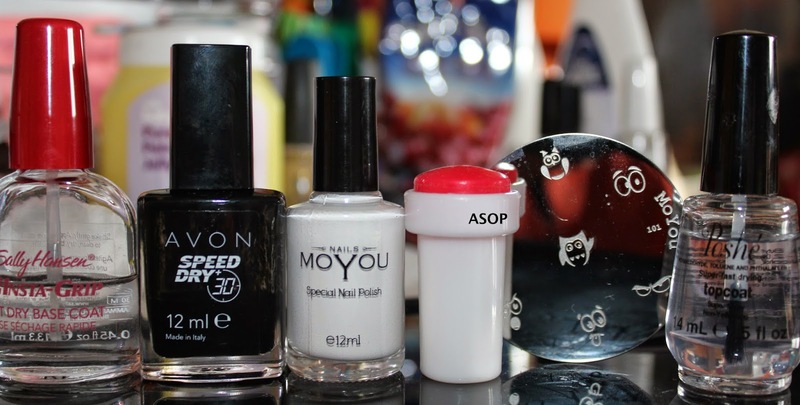 The white polish stamped amazingly over the black, and the images were mainly crisp! 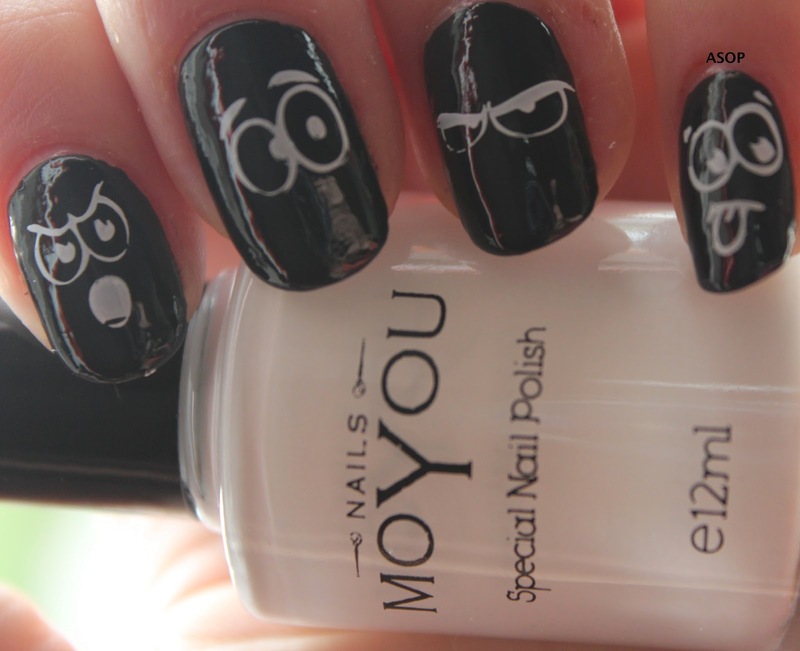 I just had a little tiny bit missing on two, which wasn't that noticeable :). 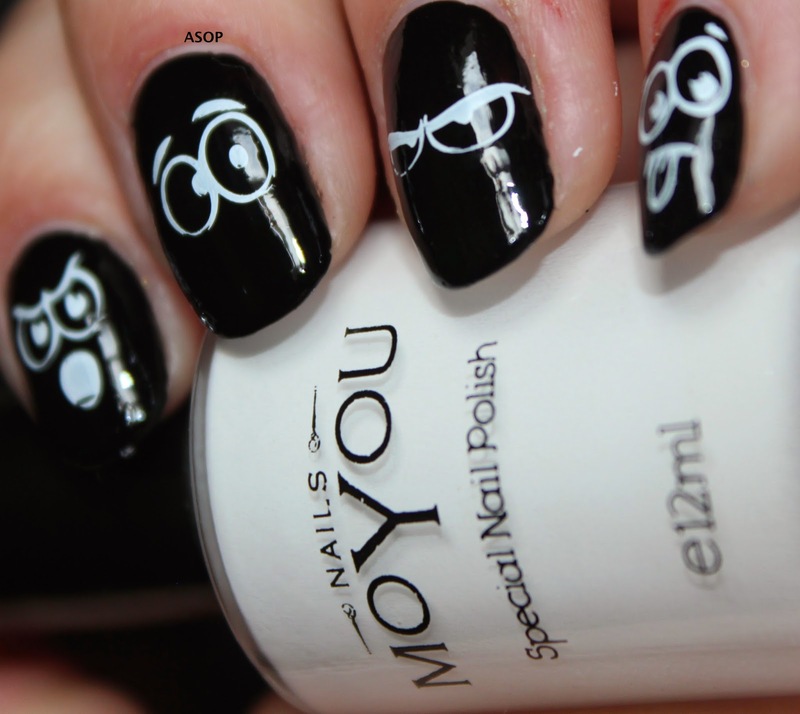 I love this manicure, you're so talented!